Dr. Cohen is fellowship trained and board certified in pediatric hematology/oncology. She graduated with dual bachelor?s degrees in business and psychology from the University of Pittsburgh, and she received her medical degree from the University of Pittsburgh School of Medicine. She received residency ... Read More training in pediatrics and fellowship training in pediatric hematology/oncology at Children?s Memorial Hospital in Chicago, where she received Northwestern University?s Residency Teaching Award. She completed fellowship training in pediatric hematology/oncology at Children?s Hospital of Pittsburgh. Dr. Cohen comes to Pensacola having served as interim director of the pediatric sickle cell program at Children?s Hospital of Pittsburgh, where she has received numerous awards for patient experience and satisfaction. She has also been an assistant professor of hematology/oncology at the University of Pittsburgh School of Medicine. Dr. Cohen has managed more than $3.5 million in grants to study sickle cell disease, and she has presented her research at numerous professional conferences. Dr. Cohen is a member of the Children?s Oncology Group, the American Society of Hematology, the American Balint Society and the Foundation for Sickle Cell Disease Research. 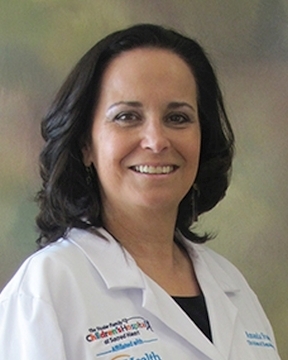 Dr. Cohen is employed with the University of Florida and practices full time at this Sacred Heart Medical Group office.